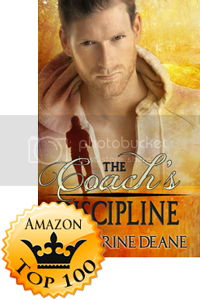 Thanks so much to spanking romance author, Tara Finnegan for nominating me for this award and for her awesome questions. Click the link on her name above to get to know more about Tara. 1. How often do you blog, and why did you start? Hehe, that is a good question! I started just over a year ago, and am still trying to get consistent with my blogging. My goal is three times a week. Wish me luck! 2. What was the first full book you ever wrote? 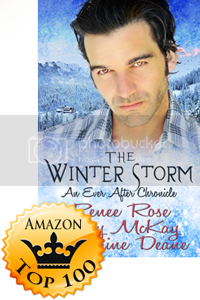 The first book I ever wrote and published, is called The Winter Storm. Casey McKay, Renee Rose and I each wrote different stories, and put them together into a “group story”. It was a lot of fun! 3. What prompted you to start writing? Hmmm, I don’t know. I think I liked what I read so much, that I wanted to create something too. And I had so many ideas running through my head, it made sense to try to put them down on paper. 4. Aside from writing, what is your favorite pastime? 5. What is your proudest achievement either in writing or in life? Well, in writing, I officially became a published author just over a month ago! That was a pretty big moment for me. 6. What do you want most to achieve in life? Have you already achieved it or are you actively working on it? Honestly, I don’t know. I know that I want to be remembered for being a blessing to others, and when I die, I want to look back at my life and be at peace, knowing I truly accomplished something worthwhile. Most people, by the time they finish college, know their direction. I’m 41 (closer to 42), and still don’t know what I truly want from life. I think I just want to have peace in my heart (not just happiness. That’s an emotion that can come and go. But true peace). I want to give my all in whatever direction life takes me in each moment. I want to achieve a peace in my heart, and know that whatever accomplishments I have, whether they are big or small- if I give it my all, then I have succeeded. 7. If you had the opportunity to meet one person you really admire, who would it be, and what would you want to ask them? Erica Scott (ok, I am a huge fan of hers. Her book, “Late Bloomer” was what gave me the push to talk to my husband about my spanking desires. It also opened up lots of fantasies in me. 🙂 I wish I could do spanking videos. I would love to play the part of a kicking, howling young woman getting her bottom blistered. Ok, this is probably going to give me nightmares and “really happy dreams” all night! Actually, I am at my happiest when I make a goal for the day (any goal, it doesn’t matter), and I accomplish it. LOL, this happens less often than you might think. I tend to be very creative (flighty? ), which means tons of thoughts collide and overwhelm me. I’ve had moments where I couldn’t even read a book, because I was so overstimulated that I couldn’t decide what to read. Too many choices. Phew! A huge cycle of ‘ugh’. Even funnier, is the fact that I am Type A and very in need of control. These two dichotomous energies battle, sometimes leaving me worn out and mumbling. Hehe, poor hubby gets a little nervous when those cycles hit. How often do you blog, and what about? Who has been your biggest influence in writing and or life? Do you have a spanking relationship in real life? If you could only choose one implement to be spanked by (or spank with), what would it be? Who is your favorite written character? If you could travel in time, what time period would you go to? 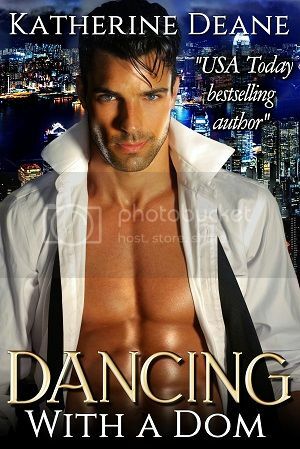 This entry was posted in Uncategorized and tagged authorship, blogging, goals, Liebster award, life, peace, spank, spanking blog, writing on April 19, 2014 by katherinedeane. I like that you run. Good for you!!! Enjoyed getting to know you better. Thanks, Cara! I’m actually heading for one in a few minutes! What a lot there is to learn about you. Your achievements are amazing. I envy your creative abilities, – singing sewing and crafts – all stuff I am totally crap at and in awe of those who can do them well. A wonderful post, and thanks for participating. Thanks so much, Tara. 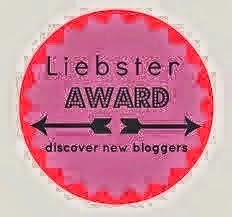 And thanks for nominating me! I loved your post as well. It is so nice getting to know others this way. 🙂 Thanks! when google + and FB decided to use your spanking pics, I bet people would have been pretty shocked! Thanks for nominating me, Katherine. This is interesting and a fun way to get to know you better. I’ll have my post up soon. Really enjoyed your answers and learning a little more about you Katherine. Wow, such wonderful achievements! I too admire your creative abilities, I am hopeless with anything crafty. Ooh, I love Men In Tights, cracks me uo every time lol. Thanks so much, Joseph! I can’t wait to head over and read yours!